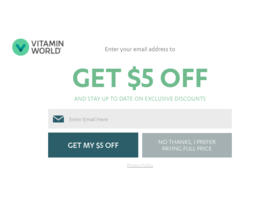 Act now and save up to 85% off clearance at VitaminWorld.com. Shop online at Vitamin World for free shipping on your order of $39+. Shop online at Vitamin World today for their daily special offers.